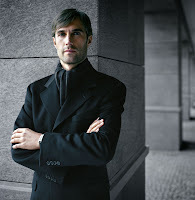 Steed is known for their elegant, comfortable yet stylish clothes and are world renowned for this look. Using, soft draped tailoring with little padding in the shoulders, small high armholes and a shaped waist which makes for a very comfortable yet stylish silhouette. 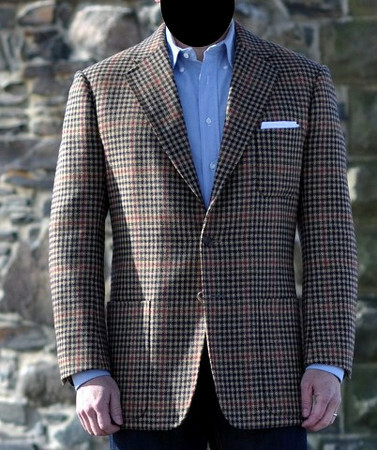 The House Style derives from Anderson & Sheppard, where Edwin spent 7 years before founding Steed with Thomas Mahon (englishcut), In January 1995 along with incorporating certain style elements from his time with Edward Sexton. Below are a few photos of some of our work showcasing the House Style mentioned. 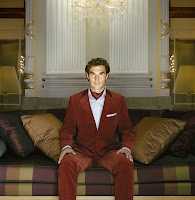 Three of the suits made up are Limited Edition London Lounge Cloths designed by Michael Alden. They are beautiful cloths and always make up very well as you can see. London Lounge Limited Edition Cloth. Our semi-bespoke suits are cut and constructed to your specific measurements and requirements allowing you to select the style, fabric and personal details. 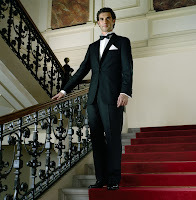 These suits are tailored using many of the traditional Savile Row methods usually associated with bespoke suits and take about 6 to 7 weeks to make. The cut is crucial in creating an elegant suit that will leave an impression and our cut has been developed to create a flattering appearance, whilst still adhering to the general principles of Savile Row and to reflect our soft, draped bespoke suits as mentioned in the House Style. As well as suits we make Tail, Morning & Overcoats. 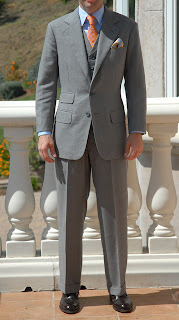 prices start from £775 for a two-piece suit. Those suits look fantastic!! Excellent work! Can you do semi-bespoke with customer's cloth? Yes, as long as the cloth is of suitable quality. Is your semi-bespoke fully canvassed or is there fusing involved? I know that Gieves & Hawkes and Huntsman, for instance, have arrangements with factories to fulfill their their semi-bespoke (or "private tailoring") orders. Do you have a similar setup? 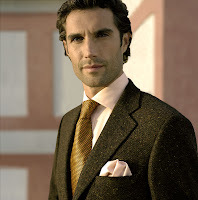 Our Semi-Bespoke suits have fused fronts with a canvass chest piece. I'm not to sure what you mean in relation to having a similar setup as G&H and Huntsman where they are factory made and not "In House" but if this is what you mean then yes they are made up for us. Although as I am measuring the client I have alot of imput into the cut, pattern manipulaton, figuaration etc. Those are beautiful suits. 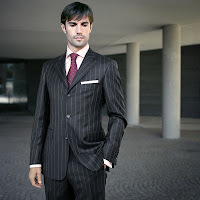 Do you offer a fully canvased suit in your semi-bespoke line for an additional charge? Do you offer a fully canvased suit in your semi-bespoke line for an additional charge? Thank you for your kind words. Unfortunately that is not something we can do with the MTM at the moment just the canvass chest piece, but it is something that we are looking to change in the future.